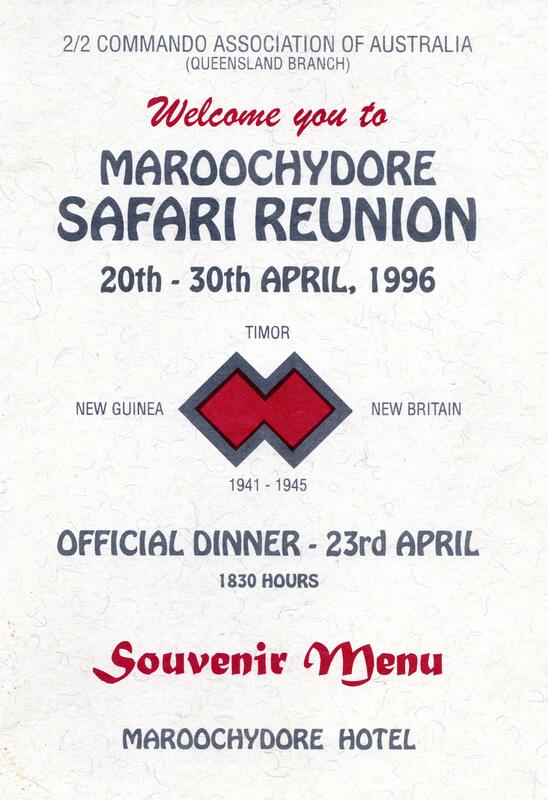 Our 19th and last Safari is now less than 8 weeks away and although we acknowledge that all good things must come to an end, the final night on the 18th November will surely be a nostalgic occasion. More than a few tears will be shed especially by those who have enjoyed participating in our Safaris. 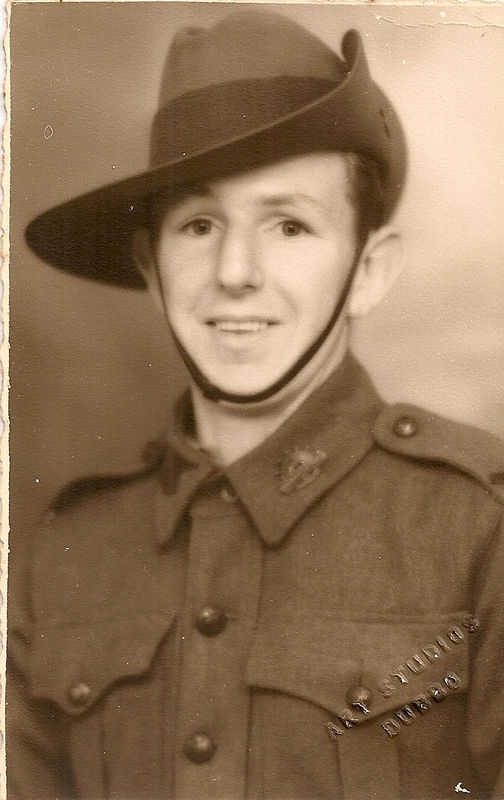 Bert Tobin is accredited with coming up with the idea that members from all states should get together every now and then to renew wartime friendships. 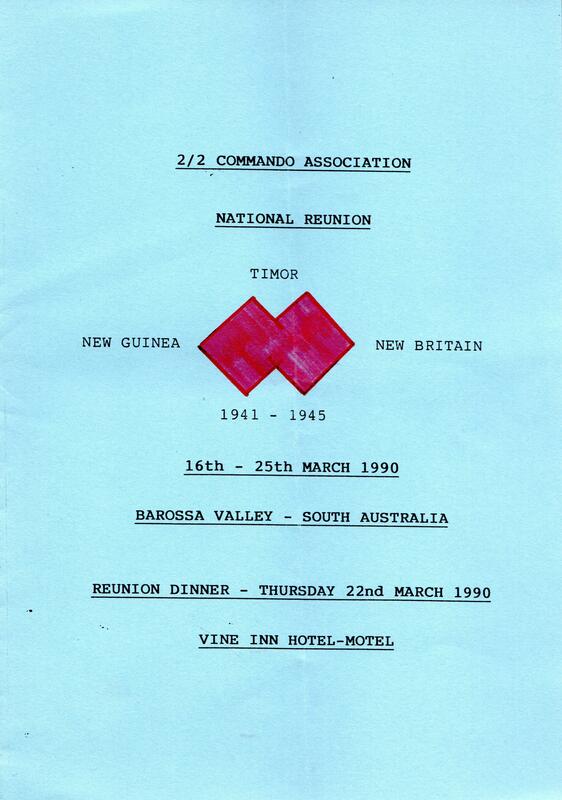 As a result of Bert's proposal, the first reunion or Safari as Doigy preferred to call them, was held in Melbourne in 1956 when the Olympic Games were on. 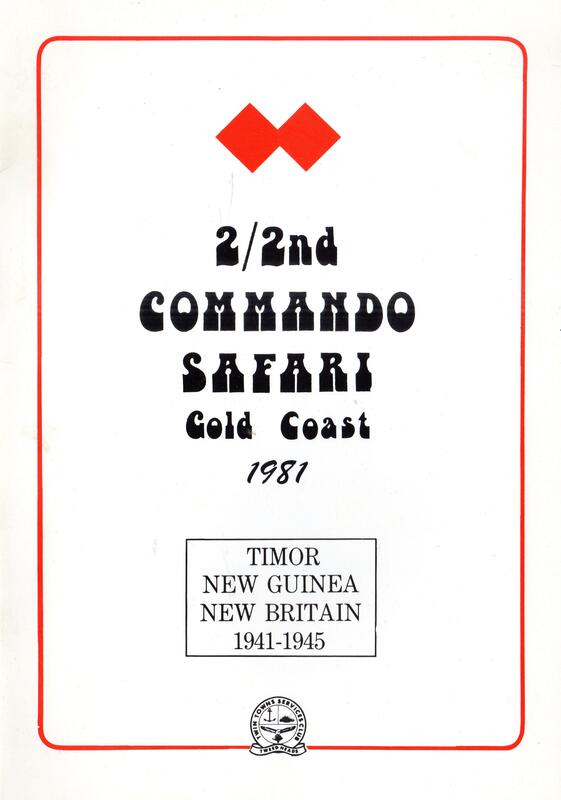 The second Safari was held in Perth to coincide with the Commonwealth Games. Both were successful, and the Safaris really took off. 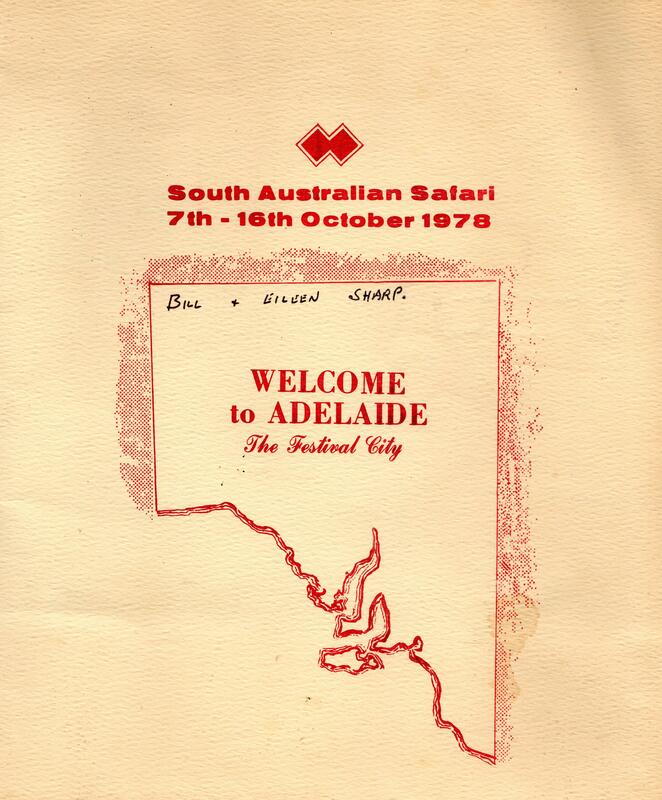 Sydney was the 1968 venue, then followed Perth in 1971, Tassie/Melbourne 1973, Sydney 1976, Adelaide 1978, the Gold Coast, Qld 1981, Perth 1983, Canberra 1986, Phillip Island 1988, The Barossa Valley 1990, Port Macquarie 1992, Busselton 1994, Maroochydore, 1996, Canberra 1998, Hobart 2000, Mildura 2002 and yet to come Perth 2003. Each had its highlights. 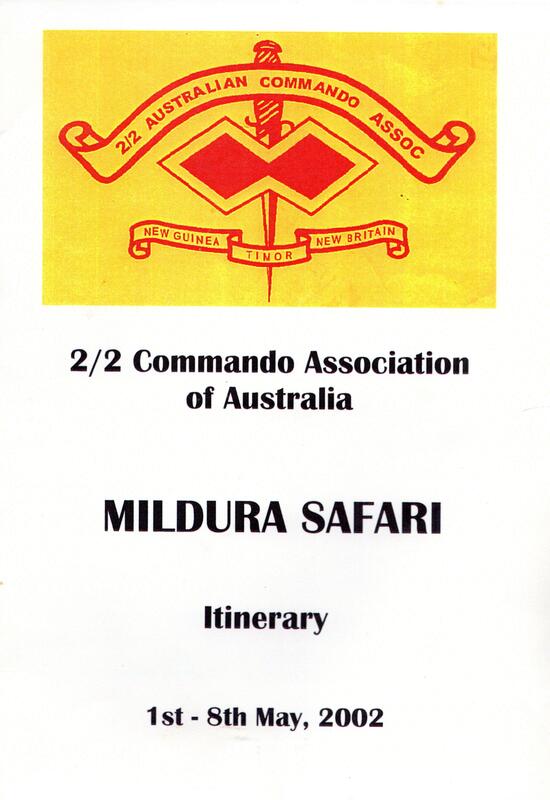 The 44 Sandgropers had a memorable Safari in 1968. 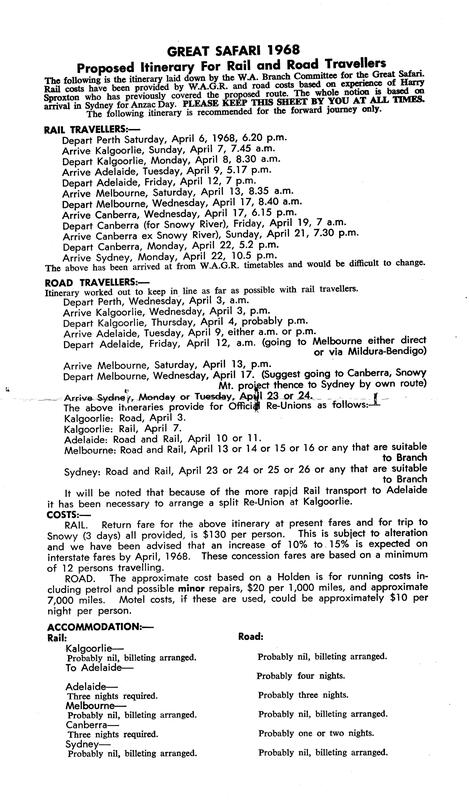 Led by Colin Doig and travelling by train spending time at Kalgoorlie, Adelaide, Melbourne, Canberra including a trip over the Snowies, finally arriving at Sydney. 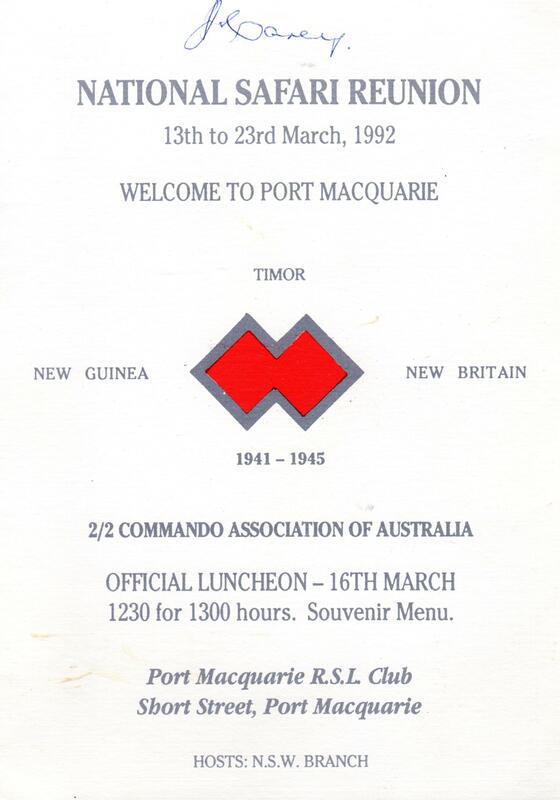 We were treated like lords at all stops; the hospitality was overwhelming. It culminated with our grandest Anzac Day march ever. Led by 'the Bull' with Sandy Eggleton and Tony Bowers proudly carrying our Double Diamond banner followed by 112 members on their very best behaviour, we did the old Unit and Association proud. We remember with gratitude all those members, families and friends, many who are no longer with us, who worked so hard to ensure the 18 Safaris were such great and happy events. 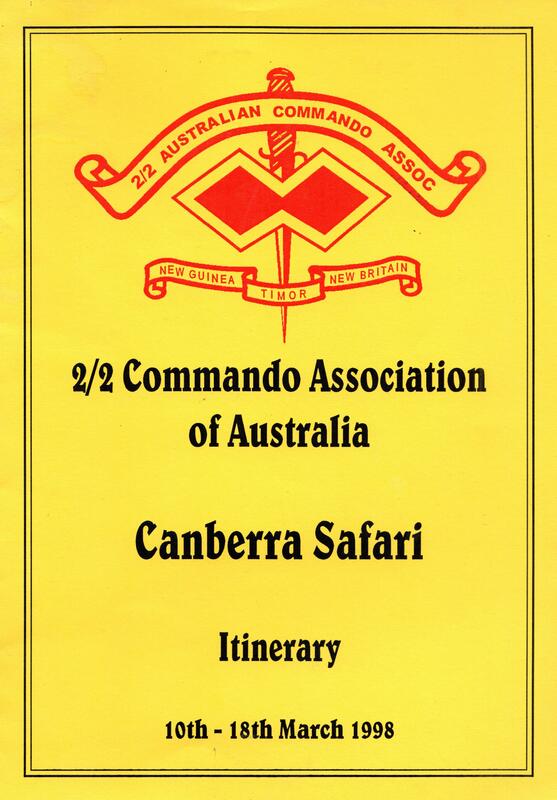 Your WA committee will do all it can to ensure our last Safari will also be one to remember. See you in Perth on the 12th November. God bless. .. J. Carey. 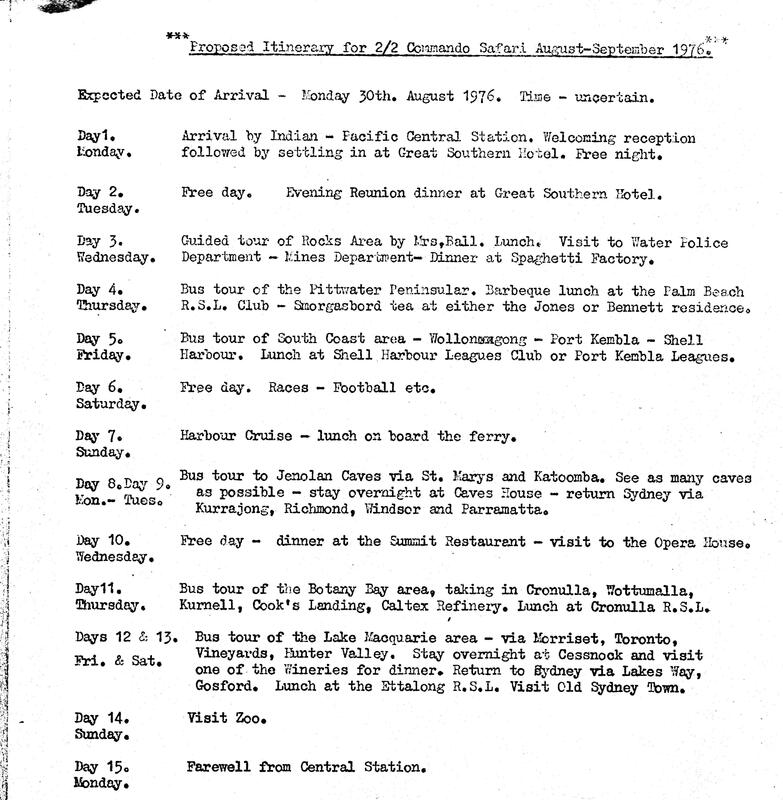 A listing of all the Safaris including references to the Courier issues where they were reported follows. The list also indicates whether a photo album or other material related to a particular Safari is held in the Association archives. 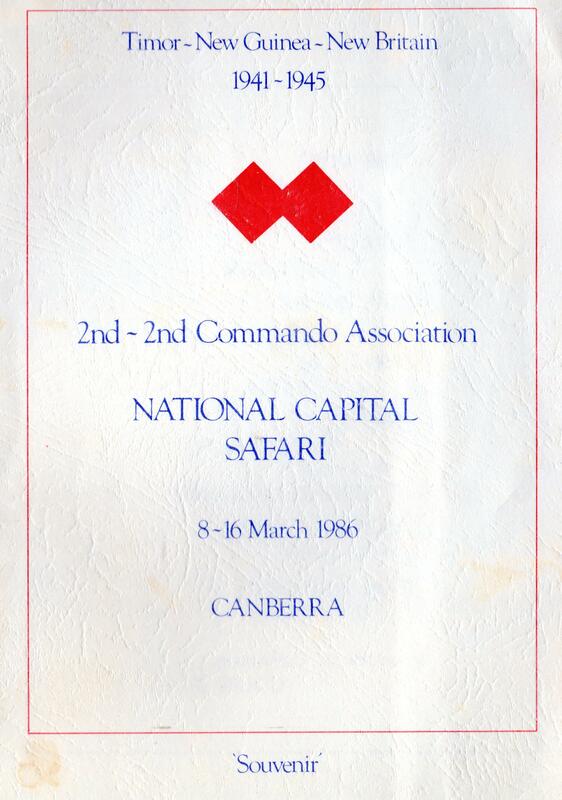 Also attached is a copy of the chapter from Col Doig’s history of the Association to 1992 covering the Safaris. 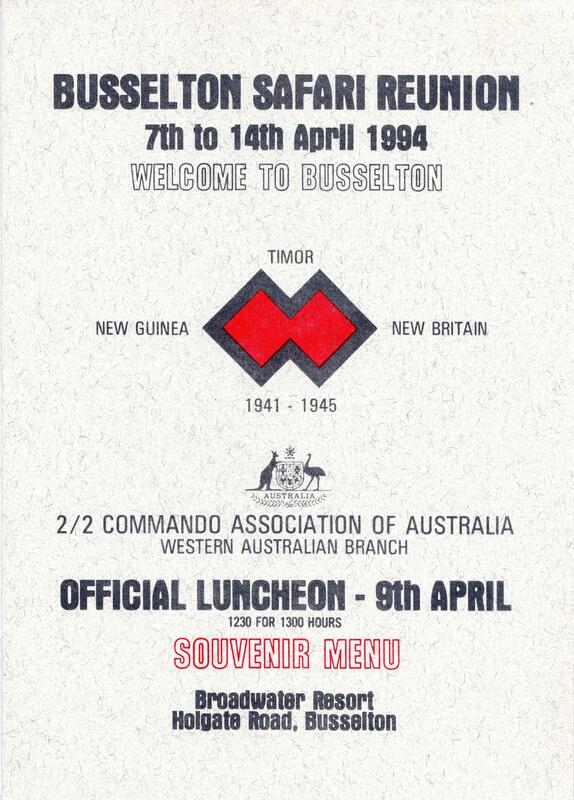 * Note: other material includes itineraries, dinner menus and commemorative service programmes, etc. C.D. Doig. 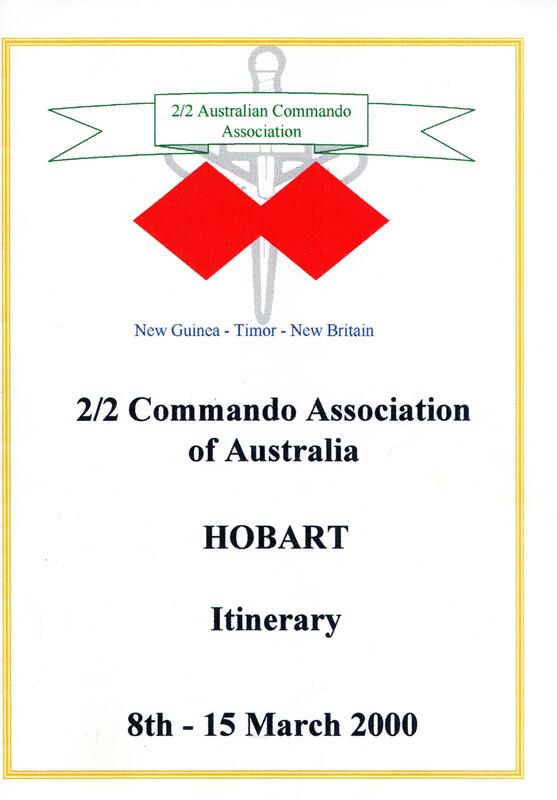 – A great fraternity: the story of the 2/2 Commando Association 1946-1992. 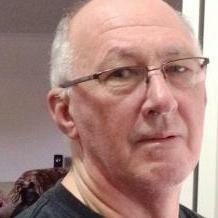 – Perth: C.D. Doig, 1993: Chapter 15 – Interstate Safaris (pp.96-111). J. Carey ‘The last hurrah!’ CourierSeptember 2003: 1.